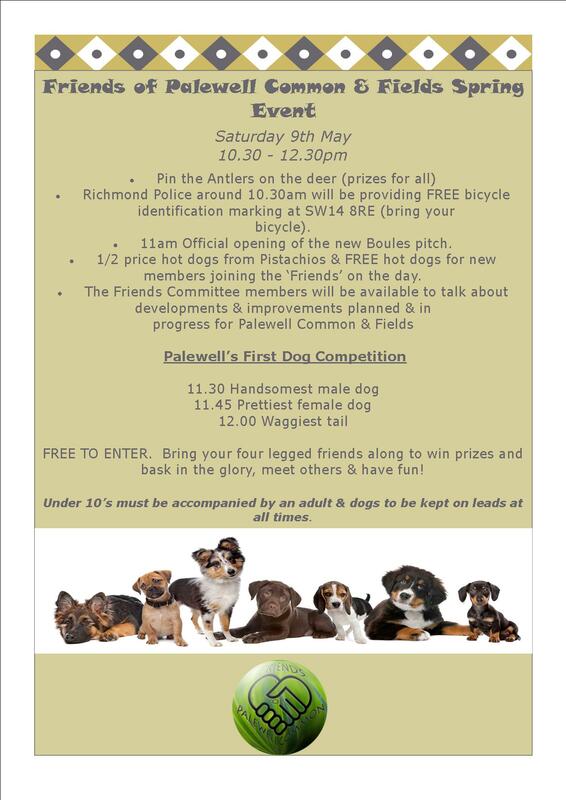 The Friends of Palewell Common & Fields are hosting their Spring Event down at Palewell Common. There will be games, fun, banter and chatter plus Palewell’s 1st Dog Competition supported & hosted in conjunction with our local grooming salon, Dog Town. Come and have some fun with your four legged friends. Bring your two legged friends down for some fun & games also! Please feel free to spread the news through social media and to use the poster freely, all efforts to spread the word sincerely welcomed!